Hair and skincare products topped the list of adverse events. WASHINGTON - As if there weren’t already enough concerns about the possible damage inflicted by what we eat and drink, a recent report indicates that some common topical beauty products can also be hazardous to your health. The US Food and Drug Administration (FDA) released information from the Center for Food Safety and Applied Nutrition going back to 2004 that suggested further research was needed on the health effects of beauty supplies. Hair and skincare products topped the list of adverse events in this report, according to Steve Xu, a physician in dermatology at McGaw Medical Center. Of special concern, products for babies and personal cleanliness had the most events of serious injury, including hospitalization and death. Reports of adverse events have doubled in the last year, moreover. While ingredients in food get some regulation, beauty products have a much freer reign. If an ingredient does not have a direct link to disease, beauty companies may be using it. Researchers have nevertheless found harmful results in studies on chemicals commonly used in beauty products. However, the FDA does restrain the cosmetic industry from using certain ingredients and may step in if a product is clearly adulterated or misbranded and the company doesn’t issue a recall itself. Sulfate: This ingredient is well-known as a skin, eye, mouth, and even lung irritant, making the product hard on people with sensitive skin. In addition, sodium laureth sulfate may contain a chemical known to cause cancer in laboratory mice. Researchers have not found a direct link to cancer in people. Formaldehyde: Many haircare and other household products use this preservative ingredient. Studies have shown an inconsistency with a link to cancer, although a more consistent link exists with topical applications on mice. According to the American Cancer Society, one study did find that workers exposed to the chemical had higher chromosomal changes. This finding supports the idea that formaldehyde may cause leukemia. Many reputable agencies consider it a carcinogen. 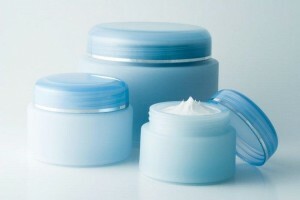 Parabens: Beauty companies often use parabens to protect against bacterial growth. However, the chemical mimics estrogen in the body and can cause cancer cells to grow more quickly. For now, the FDA has not found a strong enough link to ban the ingredient. In general, staying away from a chemical that may mess with hormones is a good idea, however.